F. Hinds loves romance, and after the engagement ring the next most important is the wedding ring. After more than 160 years of helping couples select those special commitment rings, F. Hinds knows a lot about what looks special. 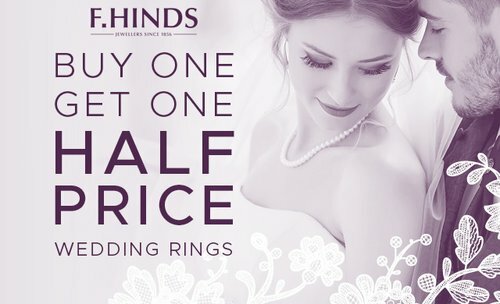 The link https://www.fhinds.co.uk/blog/How-to-Find-the-Perfect-Wedding-Rings will help, as will a visit to a store, but even more is the current in-store and online offer of buy one wedding ring and get the second half price. Now that’s a perfect pairing.